Sydney terror plot: Two men charged for planning to bring down a plane. Two men have been charged with planning a terrorist attack in Sydney. Two men have been charged with planning a terrorist act by police investigating an alleged Sydney-based plot to bring down a plane. A 49-year-old Lakemba man and 32-year-old Punchbowl man have each been charged with two counts of acting in preparation for a terrorist act, Australian Federal Police said in a statement released on Thursday night. Both are scheduled to appear before Parramatta Court on Friday morning, and the maximum penalty for the offence is life imprisonment. A third man remains behind bars, held under special anti-terror laws, while police investigations continue. He can be detained until the weekend under the current ruling. Earlier on Thursday, senior police foreshadowed the charges with NSW commissioner Mick Fuller describing the evidence as “very strong”. Prime Minister Malcolm Turnbull echoed his words. “Investigations have proceeded very well in terms of uncovering evidence,” he told reporters in Perth on Thursday. Mr Fuller meanwhile backed the “outstanding job” of his officers amid criticism one of the men arrested on Saturday but released without charge, 50-year-old Abdul Merhi, should not have been taken into custody. “We mobilised quickly and really from my perspective we stopped what could have been a terrible crime,” he said. Mr Merhi’s lawyer, Moustafa Kheir, has declared he will review “what basis police had to do what they did” and said his client’s life had been “turned upside down”. Mr Fuller welcomed the scrutiny, saying he had a responsibility to protect the people of NSW. 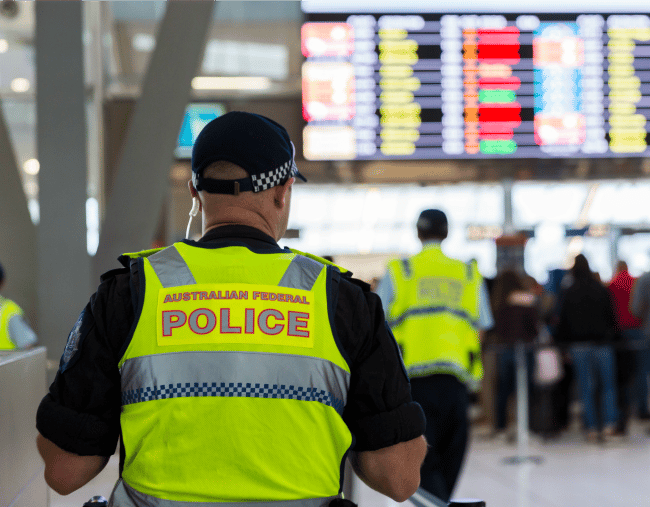 The aviation terror threat level has been lowered to “possible” on advice from Australia’s spy agency ASIO. The threat level was raised to “probable” when the plot was discovered. “Travellers will see progressive adjustments to airport security over the next 24 hours,” Mr Turnbull said in a statement on Thursday.